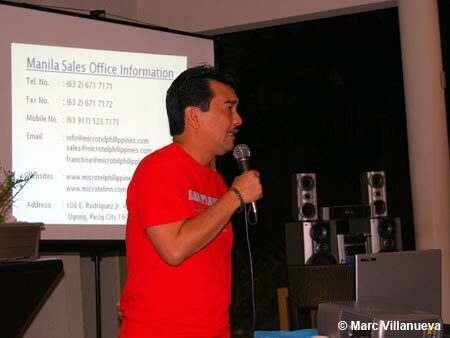 First off, Iâ€™d like to apologize to those who have emailed me about wanting to volunteer for the 2008 Philippine Blog Awards Night. 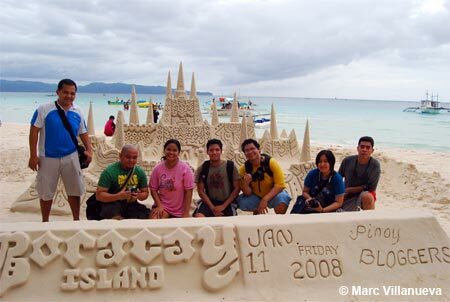 Marc and I joined a few travel and photo bloggers last weekend (January 11 to 13) on a sponsored trip to Boracay. Abe was the mastermind of the whole thing, so it really wonâ€™t make much of a difference if he was the one you emailed or me 😛 Letâ€™s just say that strolling on the white sand beaches of Boracay is way, way better than getting cooped up all day answering emails. 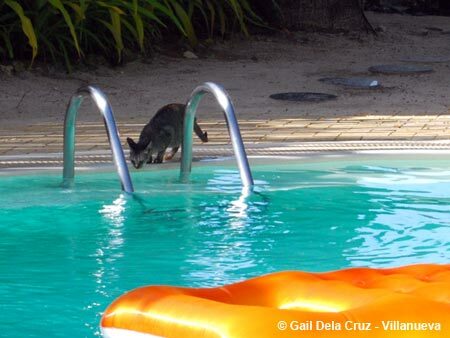 I made that mistake once in Puerto Galeraâ€”I didnâ€™t want to make the same mistake again. 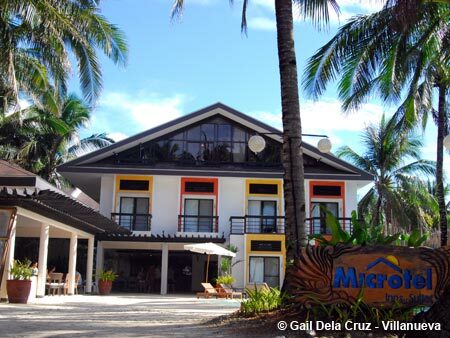 Our trip was sponsored by Microtel Inns & Suites Boracay, in partnership with South East Asian Airlines (SEAIR) and Zuzuni Boutique Hotel & Restaurant. For a comprehensive review of their services, check out my wedding blog. I might eventually do one here in Kutitots, but first allow me to tell you about what happened. Attending blogger meet-ups is one thing, but spending a weekend with a bunch of them is totally differentâ€”you just wonâ€™t be able to help but notice funny stuff. 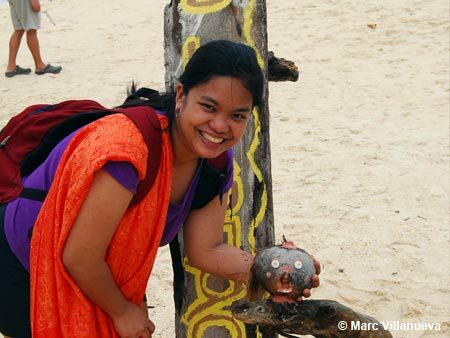 Soâ€¦ Read on and allow me to spill the beans on the Philippinesâ€™ popular travel and photo bloggers!!! As expected, I had another name boo-boo on my airline ticket. Not really that surprisingâ€”I kind of expected that most people do assume that my full name is actually â€œGail Villanueva,â€ and never would have imagined that it would be so long that you could run out of breath trying to say it. But, as it turned out, I wasnâ€™t the only one with the name problem. Ericâ€™s surname really isnâ€™t â€œDee,â€ and Meloâ€™s real first name is actually â€œWatermeloâ€ (hehe kidding!). Surprisingly though, SEAIR was able to fix these name issues even at such short notice (there was a mistake on my ticket for the trip to Bohol last year, and Cebu Pacific wasnâ€™t able to issue me a new one even with a one-week notice). It was a short flight. Melo and Eric were chatting like loud, old women while the stewardess was explaining the safety guidelines, it was hard to hear what she was saying. Lucky we didnâ€™t crash, or we would have drowned 😛 Anton tried to scare me about riding small planes, but no, I was a brave soul (Ok, fine, I just didnâ€™t want to be left behind haha). 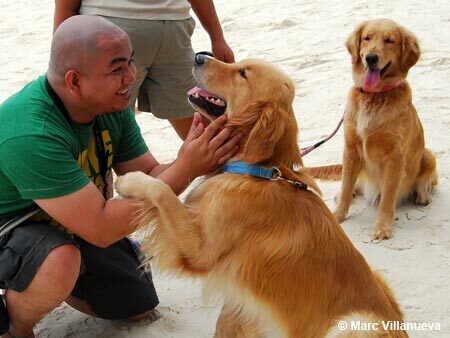 The bald boys in Boracay. 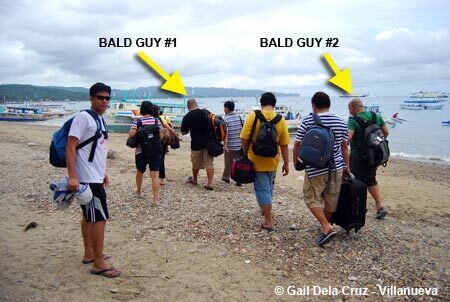 Bald Guy 1 and Bald Guy 2: guess who! We had a â€œFernandoâ€ and a â€œFerdinandâ€ on the trip, and it was so hard to remember which one was â€œFerdzâ€ and which one was â€œFerdie.â€ Before the end of the trip, I just christened them with new names so I wouldnâ€™t be confused anymore: Fernie and Ferdie. In short, F1 and F2 (this wasnâ€™t my idea, I swear). On our first day, Noemi, Abe, Ivan and Jet from Newsbreak probably slept in the afternoon. I wasnâ€™t sure what they did because Marc and I joined Melo, Karla, Anton, Eugene, Eric, Ferdie and Fernie in an approximately 2-kilometer walk along the beach in search for Meloâ€™s strawberry fruit shake. 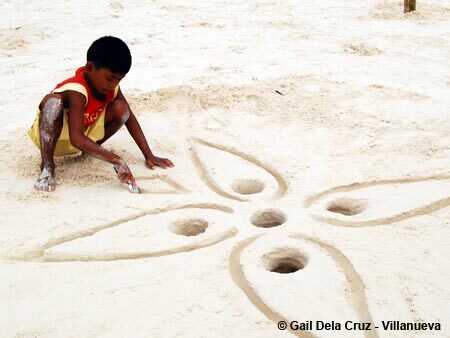 We met a lot of friendly beach dog residents along the way, as well as a kid who could do wonderful art on the sand using just a spoon. Of course, we had to have that customary sandcastle photo op, but Eugene had already miraculously disappeared when we had this shot. We didnâ€™t find the sacred shake (according to Dean, the Microtel Boracay manager, the shake we were looking for was at Jonahâ€™s, which we apparently passed by on our loooonnngggg Strawberry Shake Pilgrimage), but we did have drinks at the first cafÃ© we saw. Melo had another crazy idea of walking back, but I guess our dirty looks were enough for him to realize that weâ€™d rather call Microtelâ€™s shuttle on the way back. After an hour nap on Microtelâ€™s famous beds, we joined the group for the welcome dinner and fun games. Lauren had to take a 4pm flight (she had a class report, the nerd! ), but she was able to join us by that time. I almost ran out of clothes to wearâ€”the first game required us to get into the surf, scoop up sand, and dump it in a sack. The second game, I didnâ€™t joinâ€”I had work to do that evening, and I just couldnâ€™t risk drinking Vodka while doing the Limbo Rock 😛 Abeâ€™s Big-Bellied Drunkard Team won both games, though Ivan our teammate deserved special mention: he downed four shots of Vodka like drinking water and still walked like as if nothing happenedâ€” we had veteran drinker in our midst. Day 2 turned out to be a rainy day. We spent the morning blogging, talking about blogging, catching up with the latest gossips, and doing work stuff. It wasnâ€™t a waste of Boracay day though, we were still able to have lunch at Tesebel Ihaw-Ihaw, swim a little at Puka Beach, and snorkel a bit in not-so-wavy parts of Boracay. 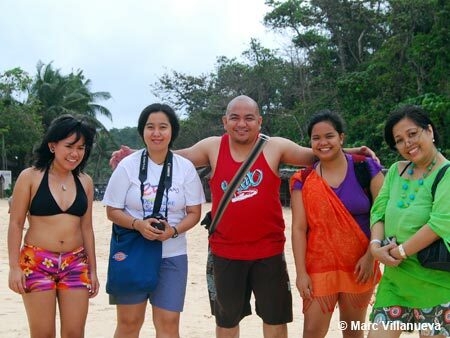 Itâ€™s a real drag that Ivan had to leave earlyâ€”he left right after we had our Puka Beach photo op. 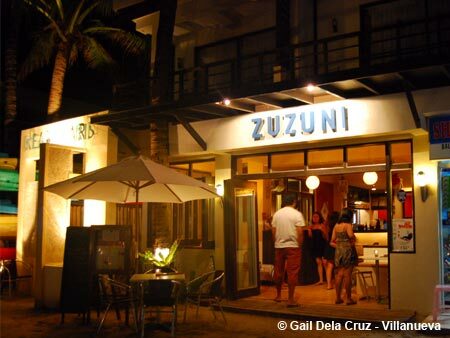 That night, we had dinner at Zuzuni (they serve Greek cuisine) and had the bestest chocolate dessert ever. The lasagna-type eggplant dish was so good that I ended up eating a lot of it without spitting out (eggplant is one of the vegetables in my â€œI donâ€™t want to eatâ€ list). Abe was bent on getting a shot of the huge sandcastle with everyone, so we made sure we had one before heading back to the inn. Antonâ€™s camera had the pictures, Iâ€™ll post them here when I receive a copy. Most of us were corny people (well, except for Lauren and Anton who were snatched by the Microtel group for a round of drinks), and just headed home. 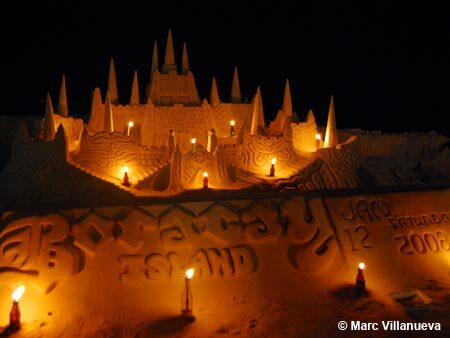 I donâ€™t know about the others, but I guess I felt that the Boracay night life just isnâ€™t for me. I can get night life in Manila any time, any day. But rest and relaxation? Definitely not. 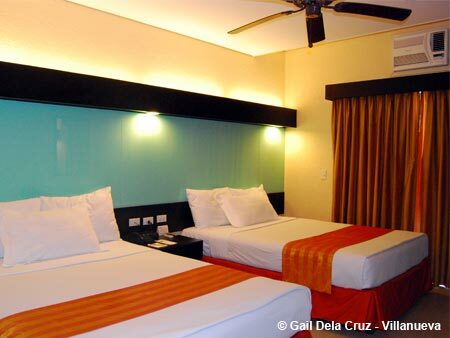 I honestly wanted to take home one of Microtelâ€™s great beds, but apparently, itâ€™s not part of their freebies. Maybe next time! Hahaha Seriously thoughâ€¦ If thereâ€™s one thing I canâ€™t complain about, itâ€™s their beds. Our cushion here at home desperately needs replacement, so itâ€™s a real comfort for somebody like me to sleep on a chiropractic bed like the ones in Microtel. Marc and I swore to buy a new bed when we transfer to our new home a few months from now. Not exactly like the one in Microtel (they said that they still needed to import those beds from the US), but a bed that wonâ€™t give us back aches every time we tried to sleep on it. On the flight home, I sat beside Eugenius, who turned out to be a whiz identifying places from a â€œsatellite view.â€ I guess I shouldnâ€™t be surprised. His blog is all about that after all. 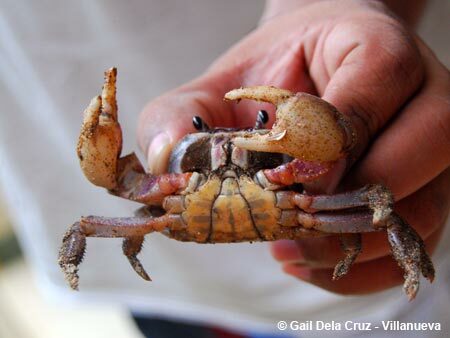 This entry was posted on Monday, 14 January 2008 at 1:15 pm and is filed under Travel. I hate to be the skunk in your garden party, but there is trouble in paradise. and arbitrary fine on those owners desperate to get their dog back. Thank you for your support. Salamat po sa tulong ninyo. @chessbuff: thanks for the head’s up. 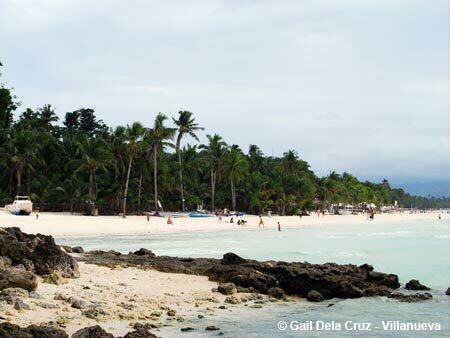 I’ll be coming back to Boracay this coming November. I’ll take a look into this and interview some locals for my dog blog. Hi! Was happy to see Whiskey and Coffee in your blog. Hi Gail, i’ll check your dog blog. Wow. 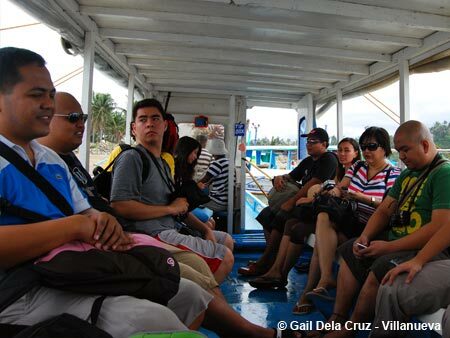 This looks like a fun filled travel for everybody especially it in Boracay. 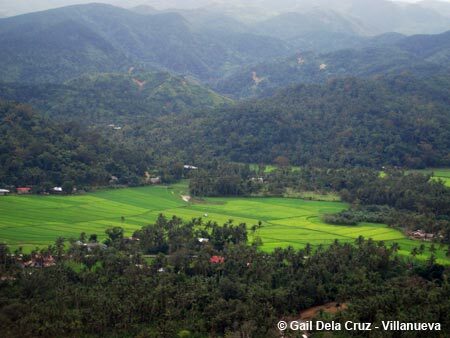 One of my favorite tourist Philippine destination. I just love the parties conducted everyday. what is that Puka Thing in this picture?